How Can I Mark My Invoice As Sent Without Sending It To My Client? How To Mark A Draft Invoice As Sent! 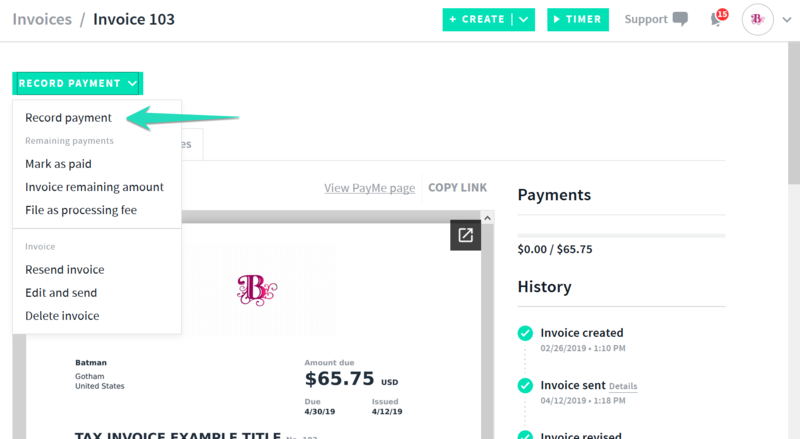 Need to create or revise an invoice in AND CO without sending it to your client? Firstly you will need to have created the invoice and saved it as a draft. View more on how you can create a draft invoice here. Once a invoice is showing as "sent" (without sending) and status is "outstanding" you can then manually mark the invoice as paid. Selecting the "Record Full Payment" option via the icon to the right of the invoice (3 little dots) will mark the invoice as paid in full along with the date you recordedthe full payment.